More Challenges... and Teenagers are Loons! I painted at a restaurant again tonight, and the kids were great. I had to be meeting the most articulate, fun children who were just SO excited to see me there with my face painting kit! ... as well as glitter, shimmer, and all my other necessary supplies. I love painting without my sample books, because it encourages the kids to come up with new ideas, and yet again they didn't disappoint. My first young victim wanted to be Tinkerbell, but also wanted Tink painted on her. How to accommodate? I think I did a pretty good job! On the other hand, if I ever get called upon to paint a poodle, I think I've got a great start. There was, of course, in amongst the several Spidermen, the requisite arm painting. I think these fish came out very cute, though, and my model loved them. Then came the teenagers, a bunch of very fun nuts who wanted each other's names and goofy drawings to go with them. One boy got a very pink and flowery "Biff." And no, I have no idea why. And another got a pineapple (a pineapple?) with his friend's name underneath. Hey, who am I to fault anyone with a sense of humor and a willingness to be painted? My little sister, the other artistic one in the family, is pregnant with my first ever niece or nephew. To say I'm excited would be something of an understatement. Originally, she and my brother-in-law were thinking of doing a jungle-themed mural on the walls of the room, but with all of the furniture destined for the room, the two closets, the three windows, and the very cool magnetic blackboard my brother-in-law painted on one wall, it really just wouldn't work. Instead, they've compromised by planning jungle-themed wall hangings, valances, and other accoutrements... and a sky-painted ceiling. Since my sister is not allowed near paint fumes while pregnant, and since she probably doesn't want to go climbing on stools and ladders either, the painting of the puffy white clouds upon the sky blue ceiling, happily, fell to me. While I do wish I had a setup like Michelangelo's when he was painting the Cistine Chapel to save myself the slight neck pain, I had fun and love the results! I love it when the kids come up with a new idea for me. Tonight while I painted the hordes waiting for me at a restaurant, the kids noticed my rainbow cake, and came up with a design I'd never tried before; a rainbow peace sign. It's amazing how the old stuff, like peace signs, just never go out of style with certain age groups. The design was a life saver, since I had a lot of "customers" and only two hours. I like it! It saved me from the plethora of dolphins I also painted. Or even crazier... Alf! Or a hamster (though the hamster, to be honest, wasn't at a restaurant)! Who but kids would have thought of these designs? Heck, I'm surprised kids even remember Alf. My favorite thing, though, is a challenge. I may crash and burn, but I'm really likely to try it! On Saturday, I had a booth at the Hermitage Craft Show in Ho-Ho-Kus, NJ. It was a beautiful day, and I had high hopes. Unfortunately, there wasn't a lot of foot traffic, but I did get some great painting in, sparse as it was. This was my first customer of the day, a fellow vendor who's very talented sister is an artist and a singer. I'm jealous of the singing talent, for sure. All she asked was that I match the purple eyeshadow she was already wearing. I love it when someone picks "artist's choice!" This next cutie wanted a Batman face, and let me take a photo, since I've revised the way I do it in recent months. The common element between the face below and the one above is the use of shimmer powders; they really just make a face work. I brought my temporary tattoo kit with me in case of inclement weater when the water-resistant tattoos make more sense than face painting. As it turns out, we had a beautiful, sunny day, but I did end up doing a few tattoos anyway, like this one. Again, the shimmer powder came through for sparkle and shading. I know I'm being too self-congratulatory, but I'm excited about this guy. How cute is he? My last customer of the day was a terrific young man who decided on a dinosaur. All in all, I was just glad to be out in the sun and painting, and even more glad for the smiles I got in return. There's just nothing like it. The NY Renaissance Faire is 32 years old this year, and on Sunday I attended for my thirty-second consecutive summer. Two years ago, I bought Rennie garb, which has allowed me to do face painting, temporary tattoos, or henna at faires, as well as appear at parties in that costume. This year, I expanded my costume wardrobe yet again; for my birthday, my husband got me pirate garb! You know what this means... I can now appear at your parties as a pirate! I already had a hat that I'd left home, so I'm not wearing it in this photo, but it's perfect; a buccaneer hat complete with feathers. A note about the NY Ren Faire. Please, if you are going to attend and feel the need to get painted, demand that the artists not use acrylic paints or craft glitters. They do have some proper products with them, but they tend to use them for only part of the design, then using acrylic paints for the majority of their designs, and putting craft glitter near eyes. I've already remarked on the dangers this poses, here. They are good artists, and nice enough people, but they refuse to listen to anyone who tells them that FDA-compliant cosmetic products are a must. I'm going to the NY Renaissance Faire in Tuxedo tomorrow, as I've done every year since its inception 32 years ago. Before I got into this business, I'd go every summer and get a henna tattoo. Now, though, I keep henna in my freezer, so I pre-henna myself. Yesterday was the day. What is henna, you ask? It's a paste made from a powdered plant and various essential oils. It is drawn onto the skin, where it remains for several hours, leaving a stain in the top few layers. Note, please, that the henna paste in the photo is brown. Henna, real, true henna, is only ever brown. If you see "black henna," run. Run like the wind. What is dubbed "black henna" is really PPD, a chemical used in hair dye, in a much higher concentration than you find in the box on your drugstore shelf. Even at CVS, the boxes warn that the dye should be kept away from the skin. Think, then, of the danger of increasing the potency and leaving it on the skin for an hour... on purpose. Unfortunately, some unscrupulous "henna artists," knowing that many people are looking for instant gratification, use the "black henna" PPD to give a quick black stain. 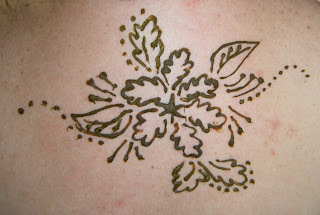 I myself had two "black henna" tattoos done before I knew what it was and how dangerous it could be. Thankfully, I was not insantly allergic to it. My friend was. She had a raised, painful, itchy red welt across her shoulders for months after her one and only "black henna" tattoo. Thing is, this is something to which you actually build an allergy. Had I continued letting people use black henna on my skin, I could end up eventually with a similar welt, or worse. I could have been scarred and burned. For more information on the effects of "black henna," look here. There are photos, though, so don't look before you eat... unless you're dieting. ... at least when the paste is first removed. It is a light or bright orange. It is over the next couple days that the stain darkens to a nice, deep brown, and then lasts from one to three weeks. The attraction of a quick black stain becomes obvious, especially when these "artists" don't warn their customers regarding the dangers. And this is what the henna stain looks like the next day when the tattoo is done with natural brown henna, as it should be. Since then, things have changed. 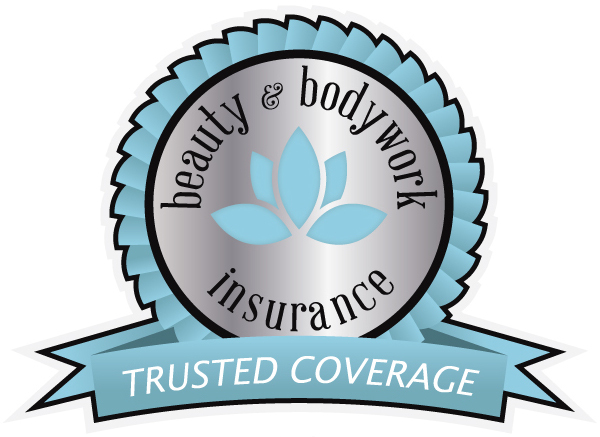 I've discovered and become part of a worldwide netowork of body artists, who have directed me to a plethora of other products to try. The key, readers, is that every single one of the products I use is FDA-compliant. While I say "face paints," because that's what is commonly understood and known, I do not, under any circumstances, at any time, use actual paint. In my kit, you will find no acrylics, no temperas, no watercolors, no oil paints (A mom actually recently asked a friend of mine if this is what she used! On faces! ), no markers, and no craft glitters. Never, and I do mean never, should you allow anyone to use craft products on you, your children, your friends, your neighbors, or anyone else. Want to know why craft products are such a bad idea? Go here and here. 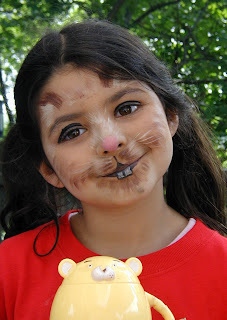 I still use Snazaroo face paints, albeit in greater quantities than when I began. Don't get me wrong, I still have that original 18-color kit, that I've refilled many times over the years. In addition to that, though, I have three larger palettes filled with Snaz. What you see here, though, are also Wolfe Brothers, Kryolan (not to be confused with Krylon, which makes the well-known spray paint), Mehron (both Paradise cakes and Starblends powders), and Fantasy WorldWide creams. I have cosmetic loose glitters from Modern Magick Body Art and Amerikan Body Art. My glitter gels are also from those two companies. My cosmetic shimmer powders, housed in those brushes in the tub, are from Modern Magick. People ask me all the time how I got into face painting. It amazes me when I remember how I fell into this vocation. I do have an art background. I'm fairly certain that there were art supplies waiting in my crib for me when I arrived home from the hospital after my birth. OK, that's an exaggeration. Maybe they were waiting in the closet until they were safe for me to use. I do know that I took my first art classes at a local NJ museum when I was 5. I know that I never went a year without art classes, even getting up an hour earlier than necessary to take "early morning art" during my senior year of high school because I was taking things like calculus and physics and political institute, but couldn't bear the thought of a year that couldn't fit an art class. The first time I ever painted a face - a moving "canvas" was a whole new arena! - was when I was in college, between 1988 and 1992. I was a member of Starlight Foundation, an organization similar to Make-a-Wish. In addition to raising money to grant wishes for terminally ill children, we hosted pizza and face painting parties at a local children's hospital in Boston. I remember one of those parties like it was yesterday. I remember going to the "congenital defects" ward first, and meeting a little girl, probably about four years old. She couldn't speak, so I had her point to some sample photos I had, and she pointed to the clown. I asked her, "You want me to paint you as a clown?" and she nodded yes. I started, but she kept rubbing the makeup from her face and trying to transfer it onto me with her fingers. Finally, I asked her, "Do you want to paint me instead?" and she nodded yes again. Emphatically. I handed her the brush and my face paints, and she "scribbled" all over my face, my arms, my hands. I remember the nurses commenting that I was terrific for letting her do that, but as I saw it the point was to make her happy. 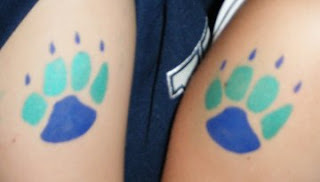 Because we were using real face paints (i.e. makeup rather than craft paint), it'd be easy to remove at will. Finally, since I wasn't doing my share with the other children, I had to start moving on. This little girl took my hand and came with me, "helping" me with all of my other customers in that ward. She was a sweetheart and I hated to leave her. We then went to the "behavioral problems" ward. Remember those troublemakers in high school? That's were these kids were likely headed, and so their parents would send them to live in the hospital and work things out with the docs. I honestly don't know how I feel about that, but I do know that I had fun painting them. They were all boys, from 10 to 14 years old, and one of the nurses told us that we were the highlight of their month. Really? A bunch of college geeks with some pizza and paintbrushes? How tough could these kids be? I wondered. They weren't, really, no tougher than any others. They just needed some help, maybe distance from their circumstances. One kid told me about how his older brother had been teaching him to steal hubcaps, for instance. Another, though, another approached me and said, "Out of all the kids you could have visited in all the hospitals, thank you so much for choosing us." My heart melted. That wasn't really the start of it, though, not really. The start came many years later. It was September of 2003, and my friend's twins were turning 7. We were brainstorming inexpensive entertainment, and I remembered, "I have this clown costume... but I don't clown. I haven't juggled since college and even then I was just learning. I don't do magic. What can I do?" Aha! Insert light bulb graphic above my head. Face painting! Amusingly, I suggested to my friend, "You buy the paints, because you've got kids and you can keep them afterwards to use later. I'll never need them again." Famous last words. I painted my heart out at that party, and the kids loved me! I trumped the pinata! I kid you not, there were children who refused to leave my line to go hit the pinata and get candy. I have no idea why. My painting then was... well... not so much up to par. Basically, I stunk. Don't believe me? Look! Yes, that was my very first tiger. Please contrast it with the very cute little girl painted as a tiger at the top of this blog, the one in the header. That is my newer tiger, as painted in 2008. It comforts me to see how I've improved. That, however, is an aside. 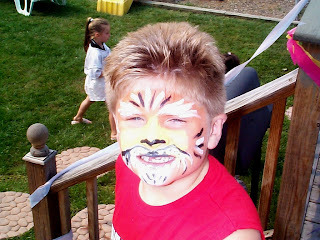 In 2003, this poor kid wore my very first tiger. And still I trumped the pinata. I simply cannot fathom why. As planned, though, I did leave the face paint kit, an 8-color Snazaroo palette, with my friend for her use. It wasn't long after that, though, that I was telling another friend about the party... and this friend had a daughter turning four. You can guess what happened. Again, not taking the hint, I told her to buy the kit herself for me to use, so she could keep it. Again, I was sure I'd never need it in the future. This time, though, people were asking me what I charged to do parties. Hmmm... Really? Now that is an interesting thought! So... 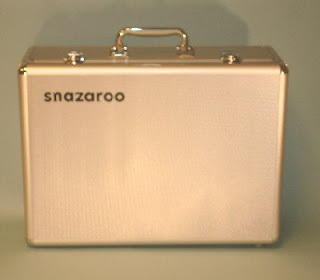 I bought myself an 18-color Snazaroo set and some Avery business card blanks, and called myself a "business." I started testing different markets and different arenas, and I've been up to my eyeballs in painting ever since. Plus, I've started teaching myself balloon twisting. My balloons are somewhat better than my initial foray into face painting, but then they'd have to be, wouldn't they?